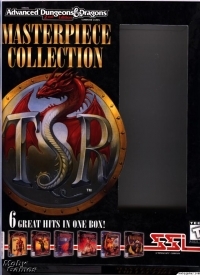 Description: Advanced Dungeons & Dragons Masterpiece Collection is a collection of 6 AD&D Games: Al-Qadim: The Genie's Curse, Dark Sun: Shattered Lands, Dark Sun: Wake of the Ravager, Menzoberranzan, Ravenloft: Stone Prophet, and Ravenloft: Strahd's Possession. This is a list of VGCollect users who have Advanced Dungeons & Dragons: Masterpiece Collection in their Collection. This is a list of VGCollect users who have Advanced Dungeons & Dragons: Masterpiece Collection in their Sell List. 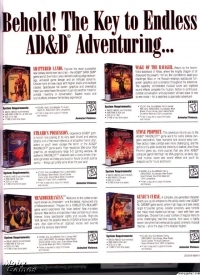 This is a list of VGCollect users who have Advanced Dungeons & Dragons: Masterpiece Collection in their Wish List.